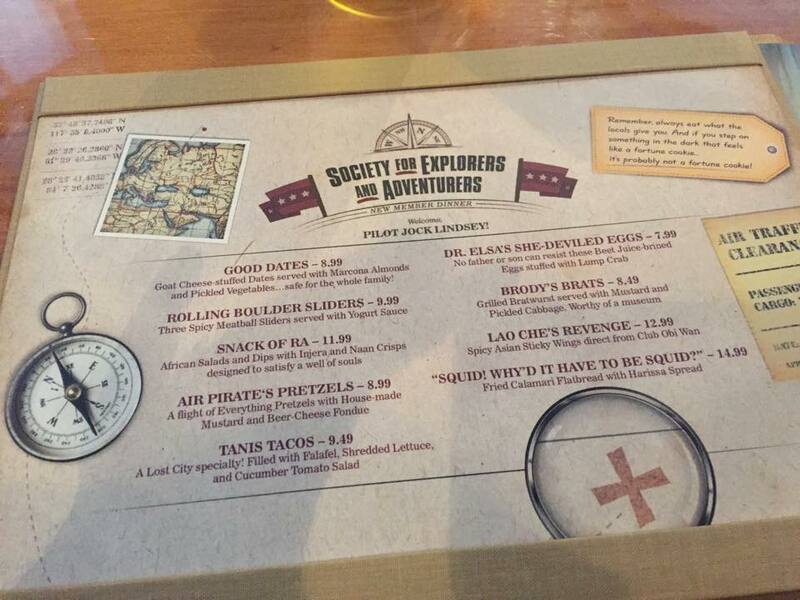 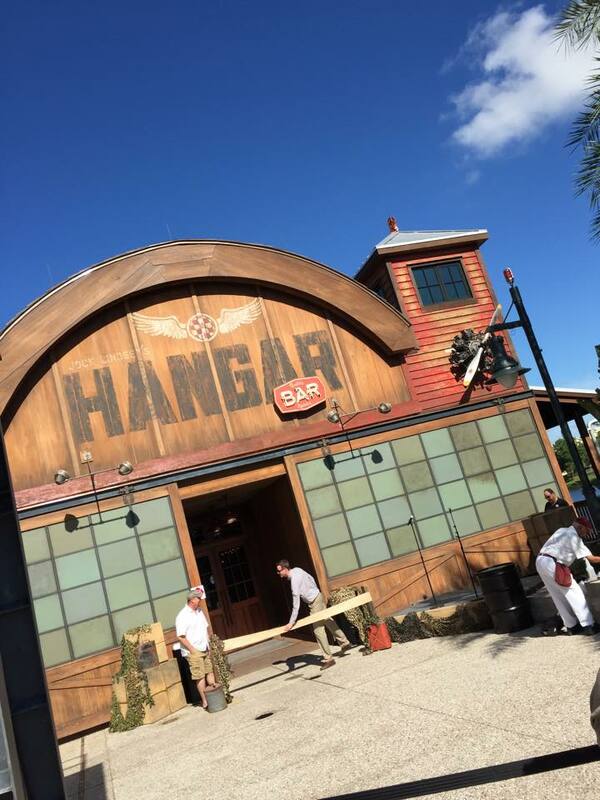 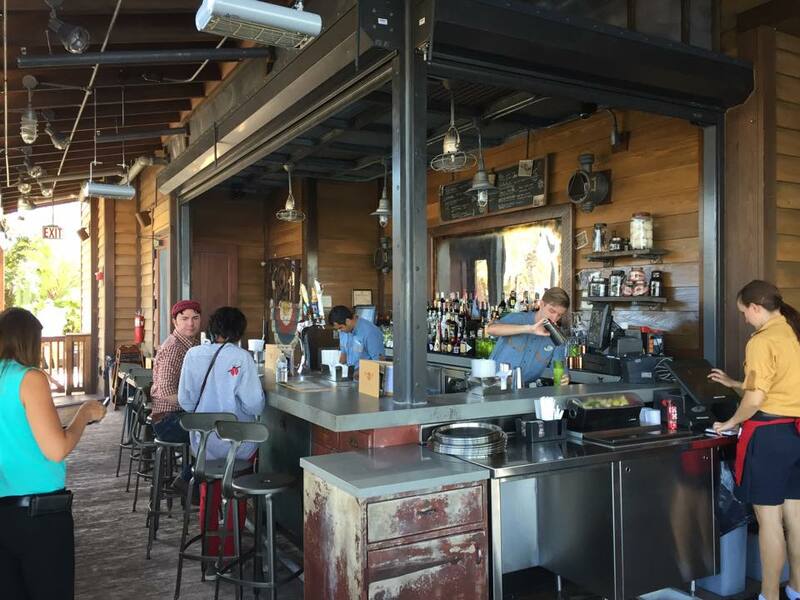 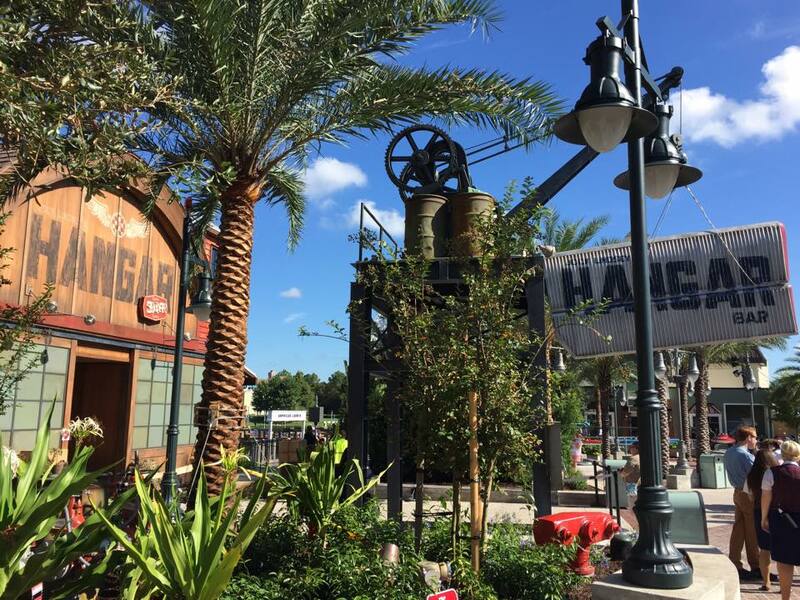 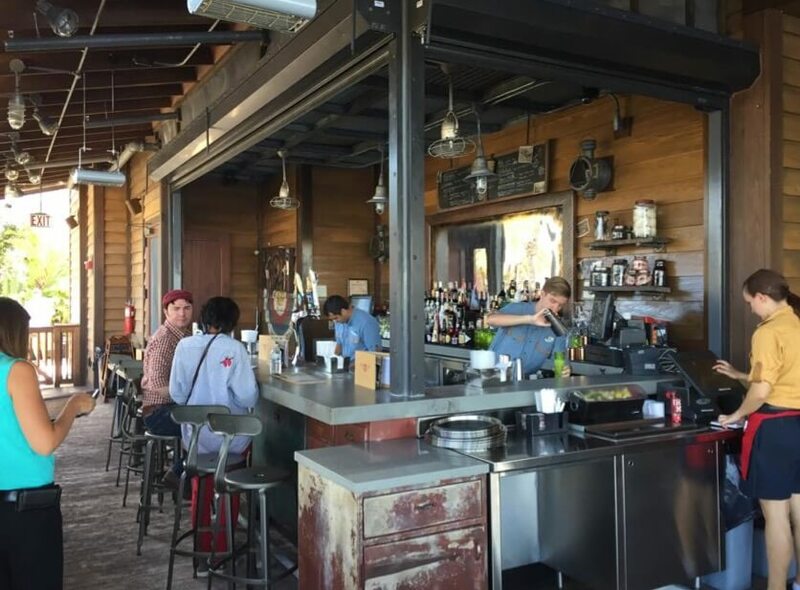 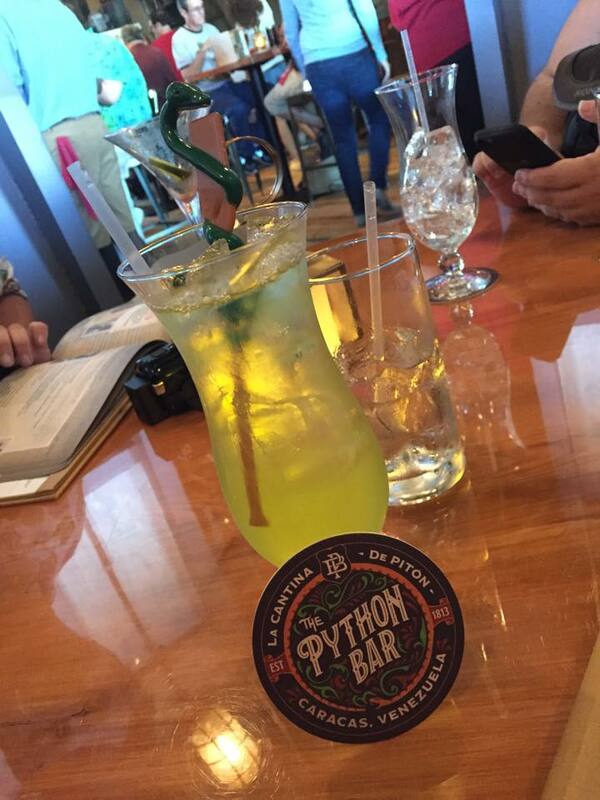 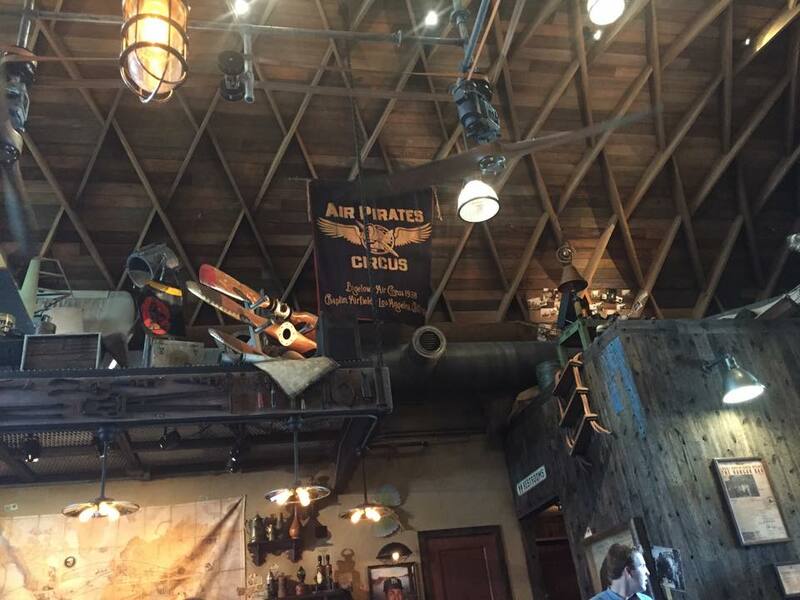 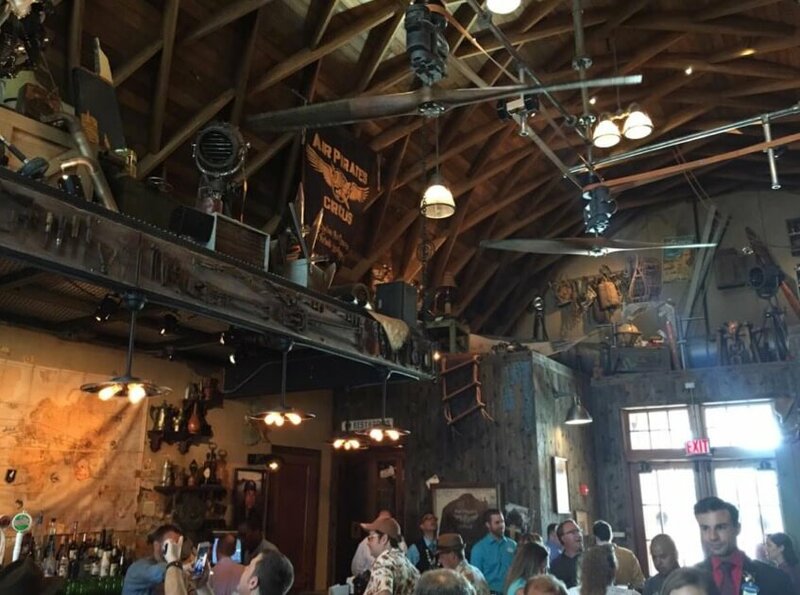 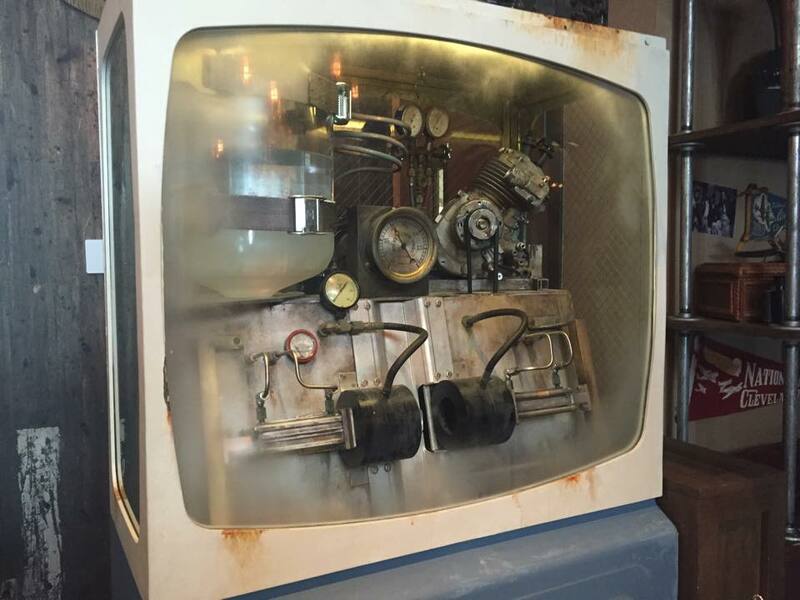 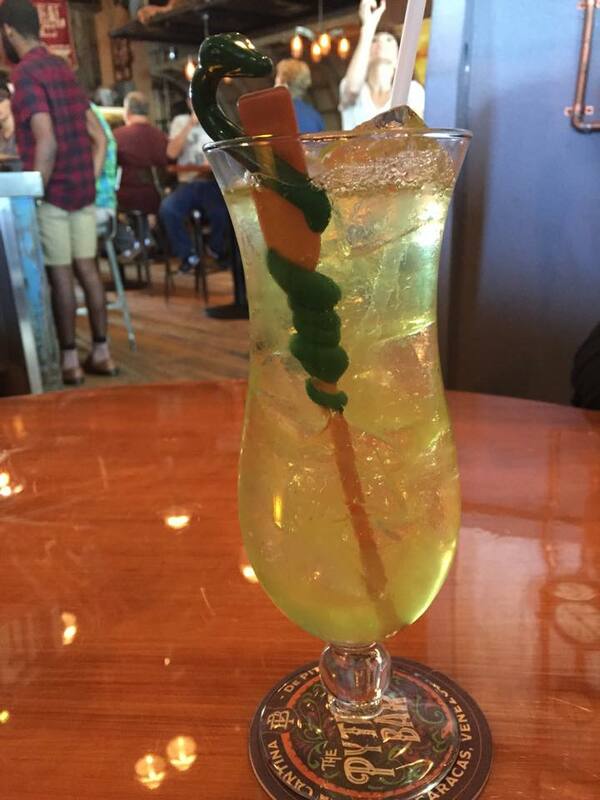 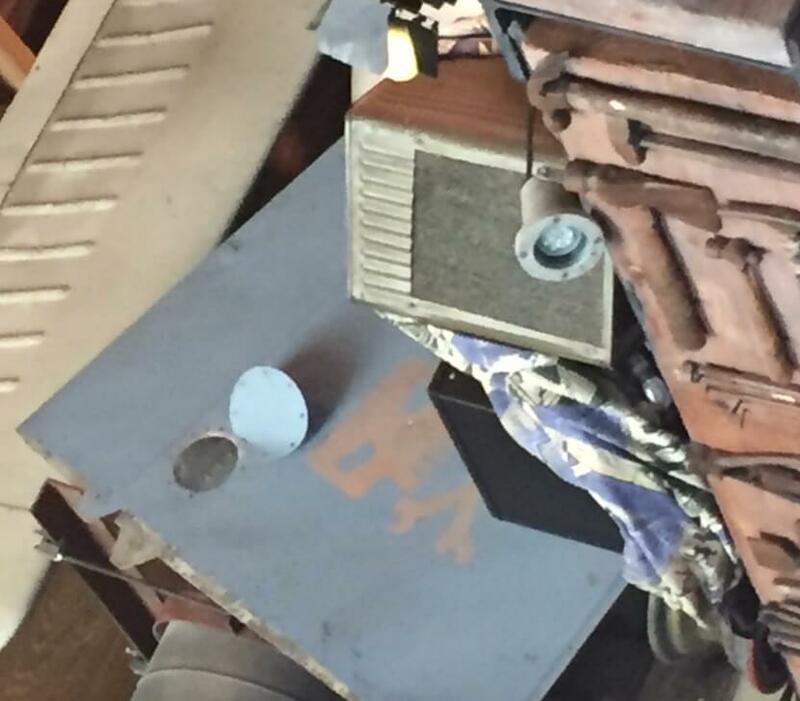 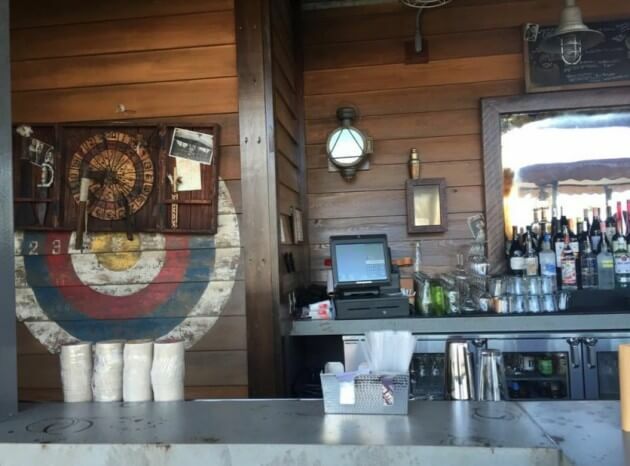 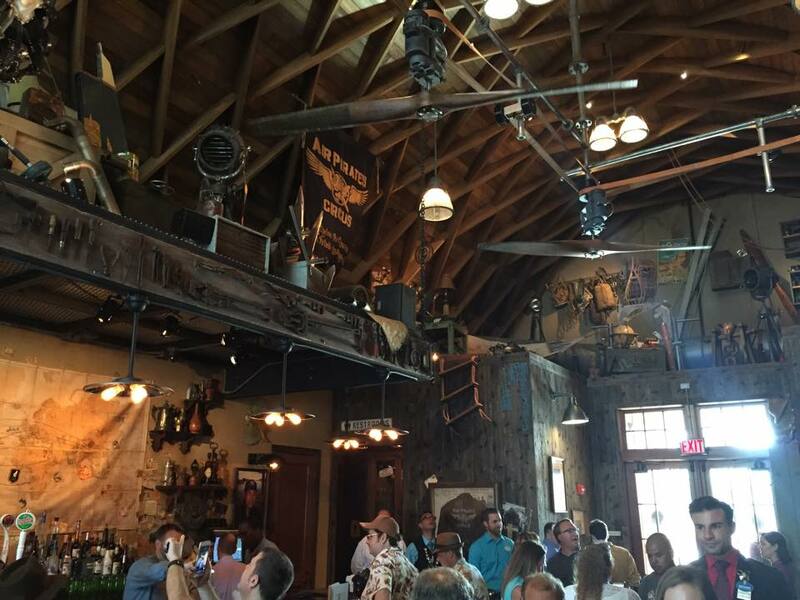 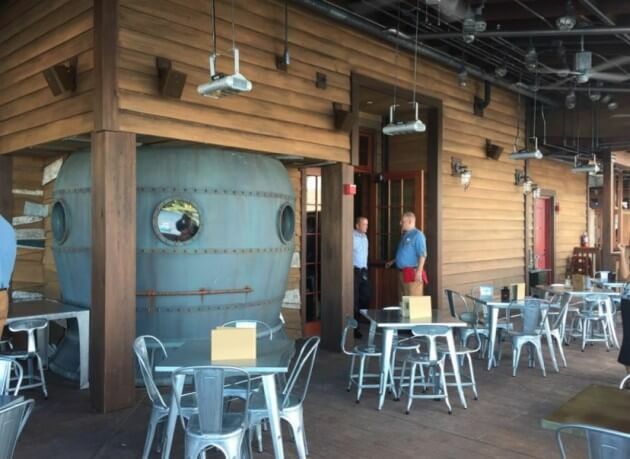 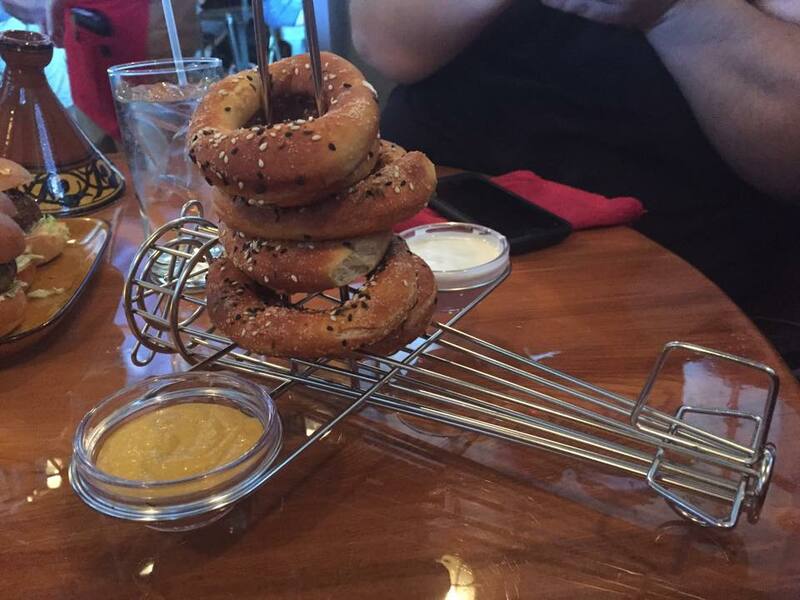 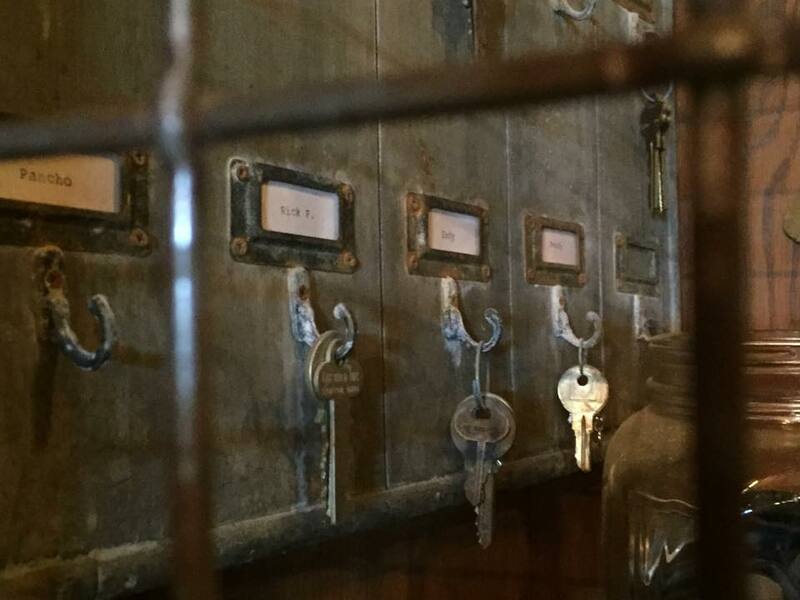 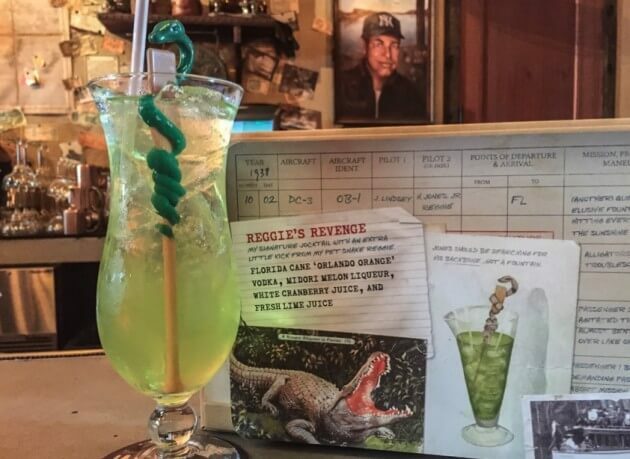 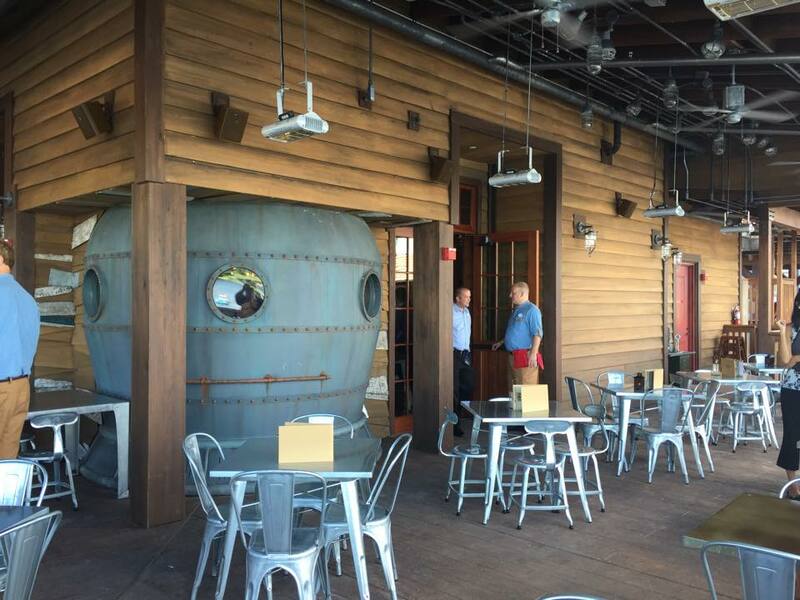 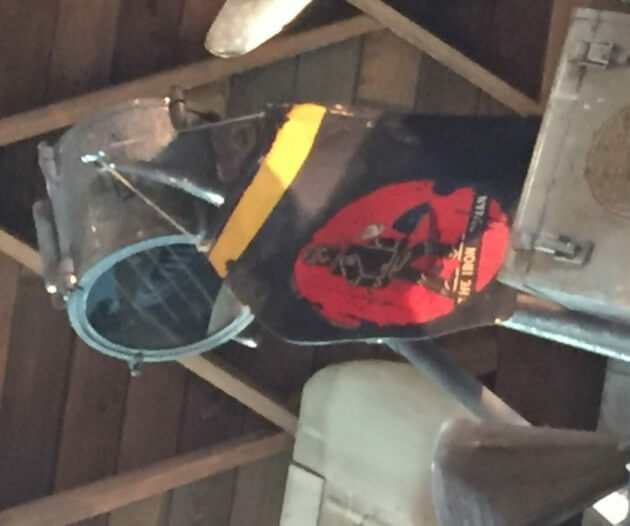 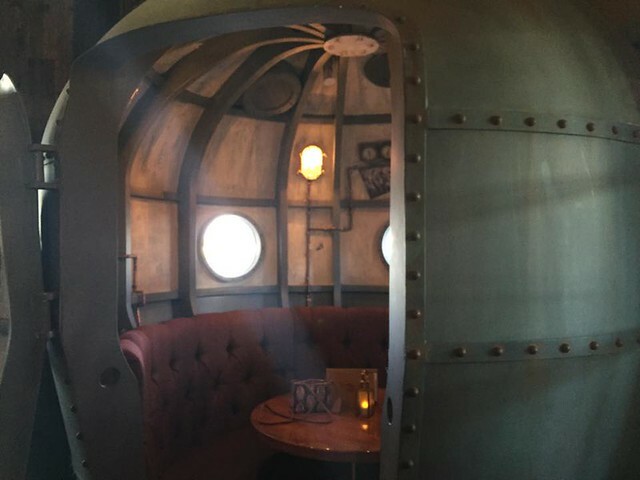 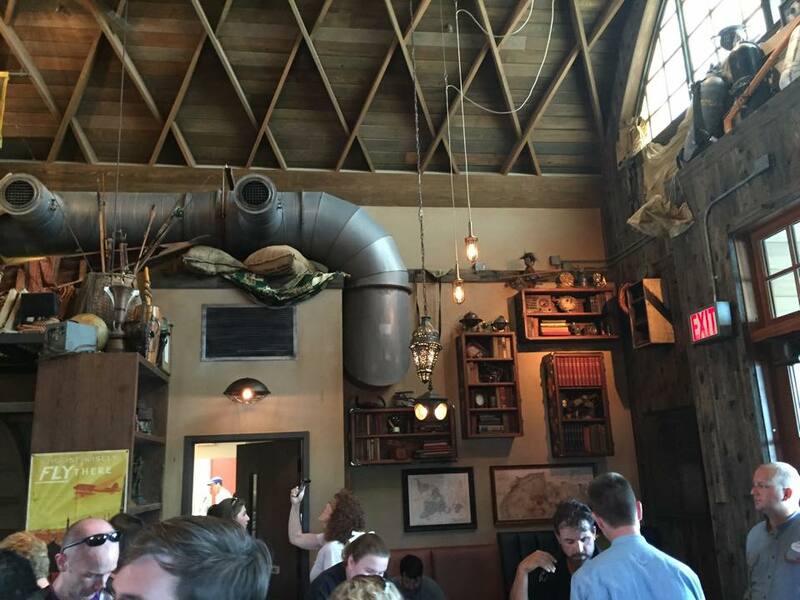 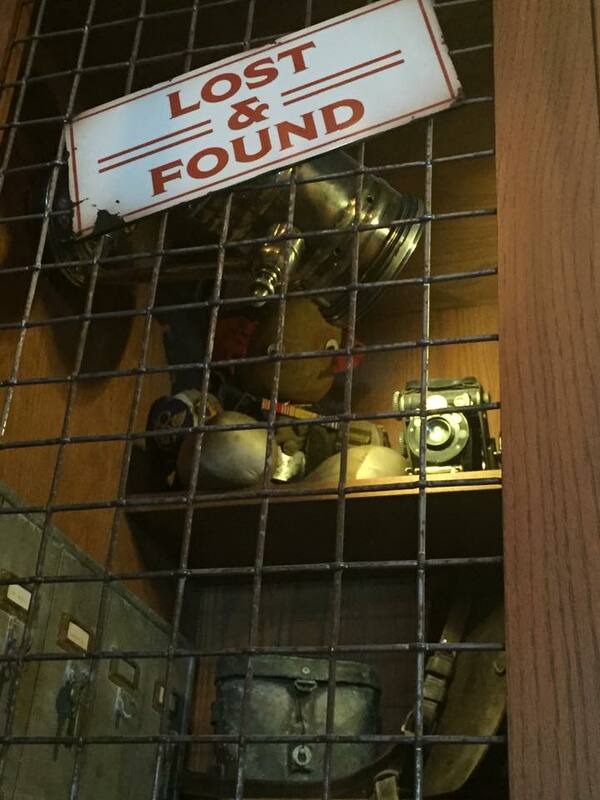 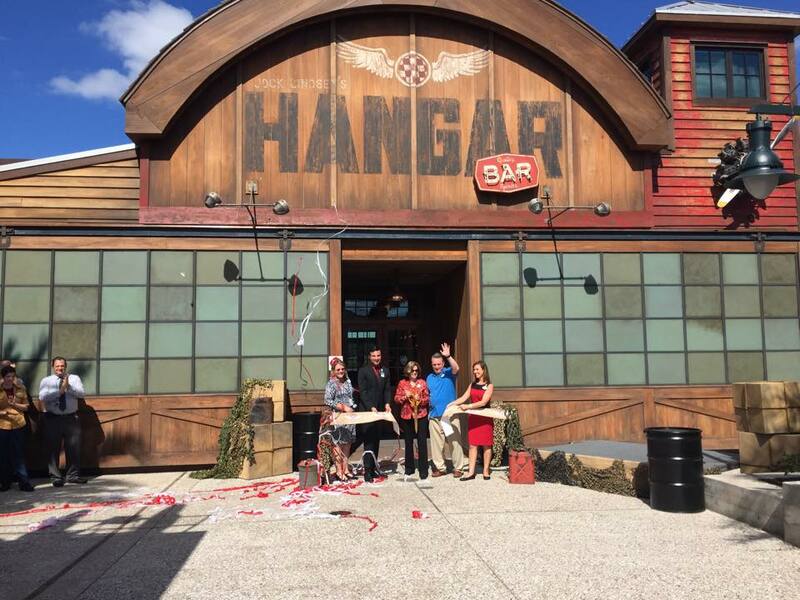 A new themed venue has opened at the reimagined Disney Springs: Jock Lindsey’s Hangar Bar. 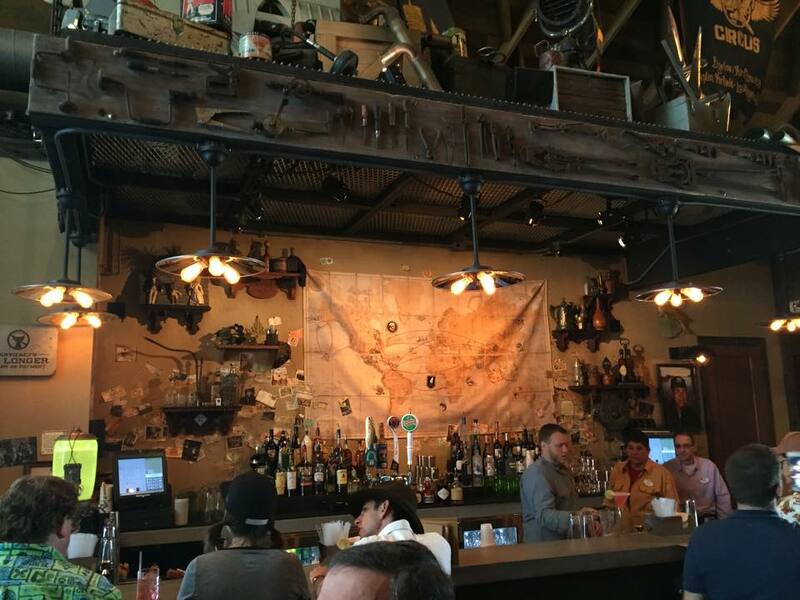 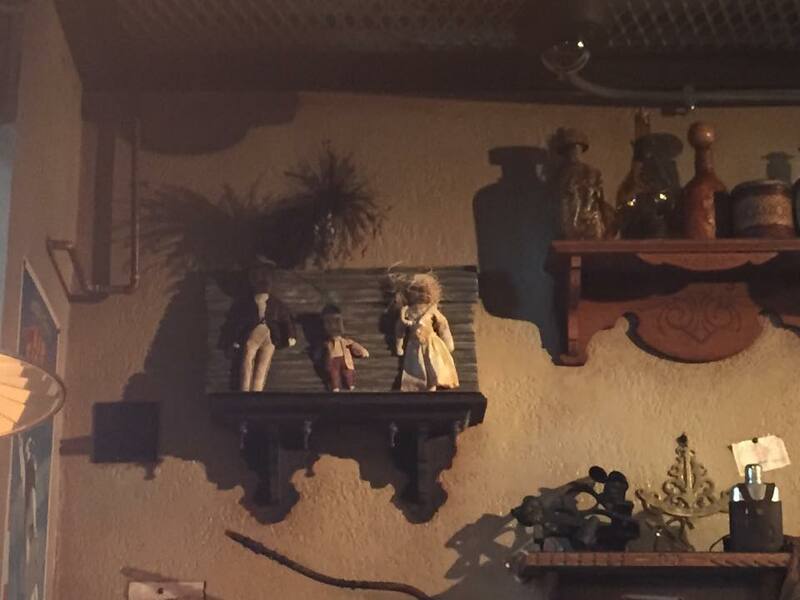 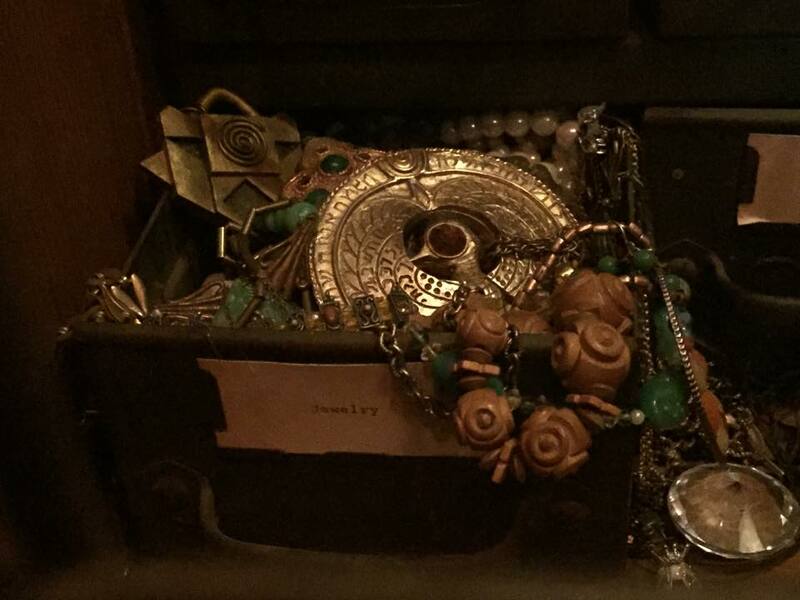 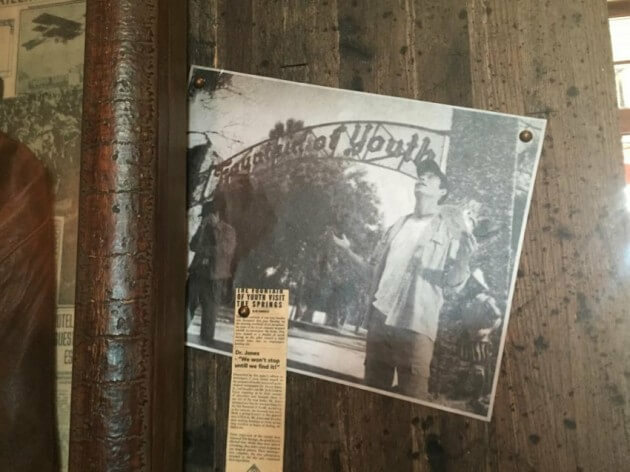 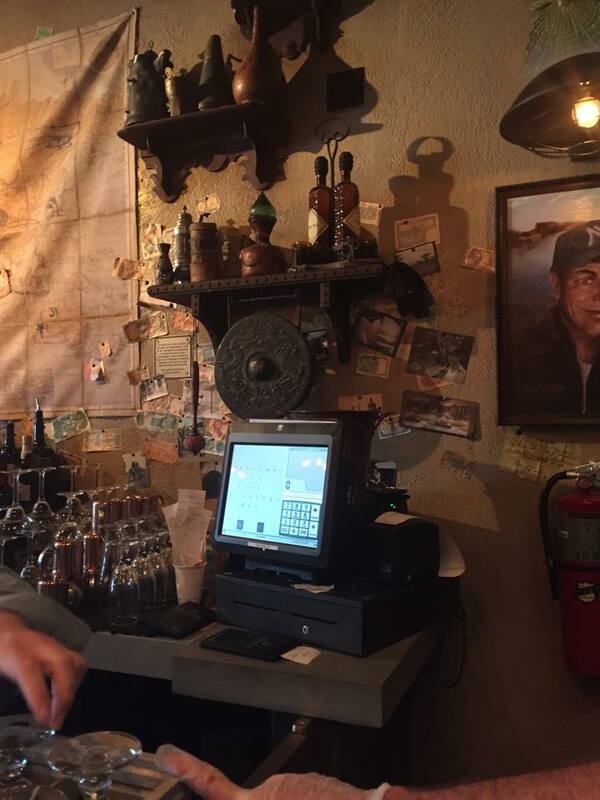 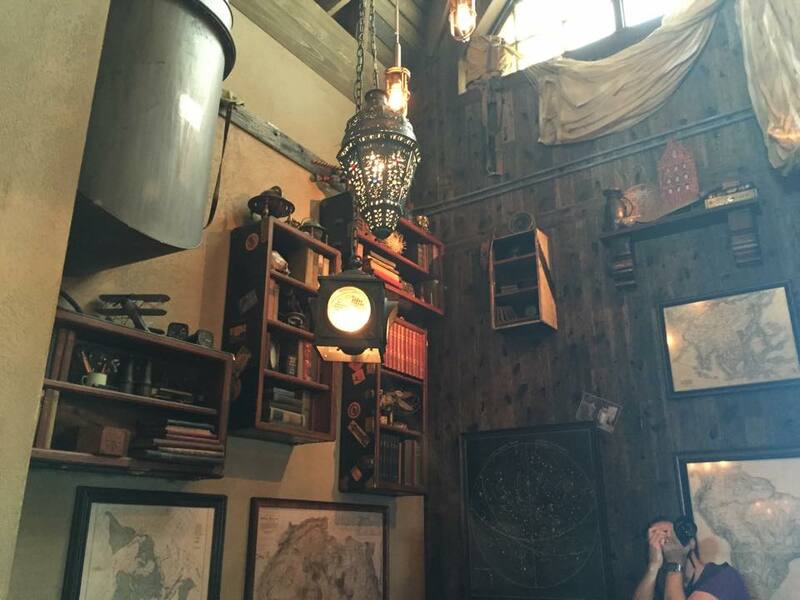 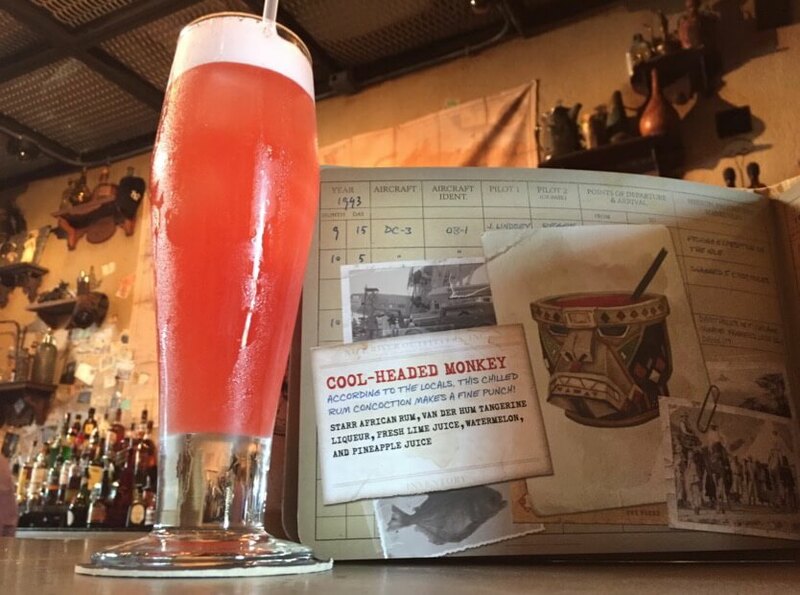 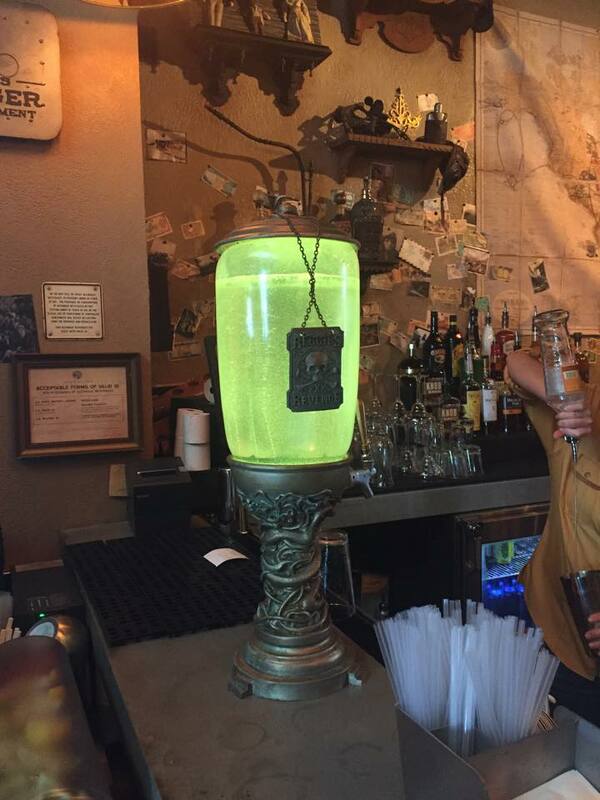 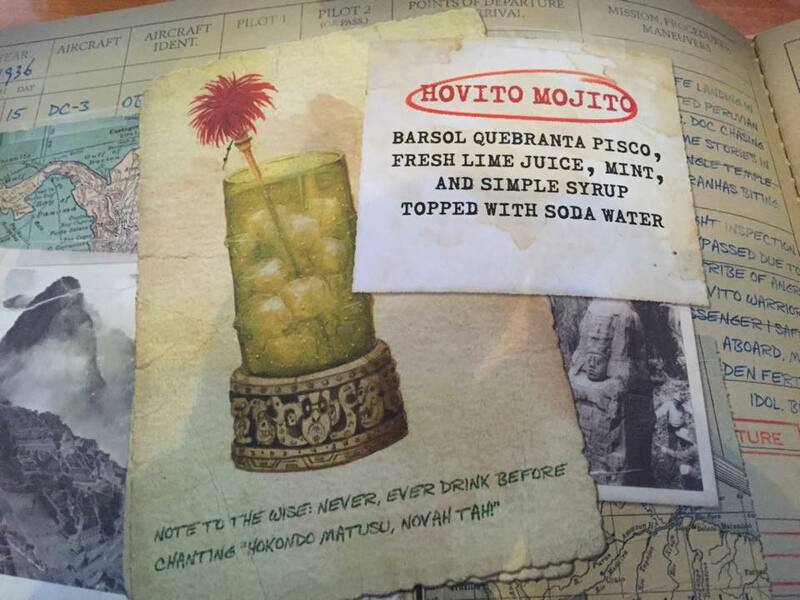 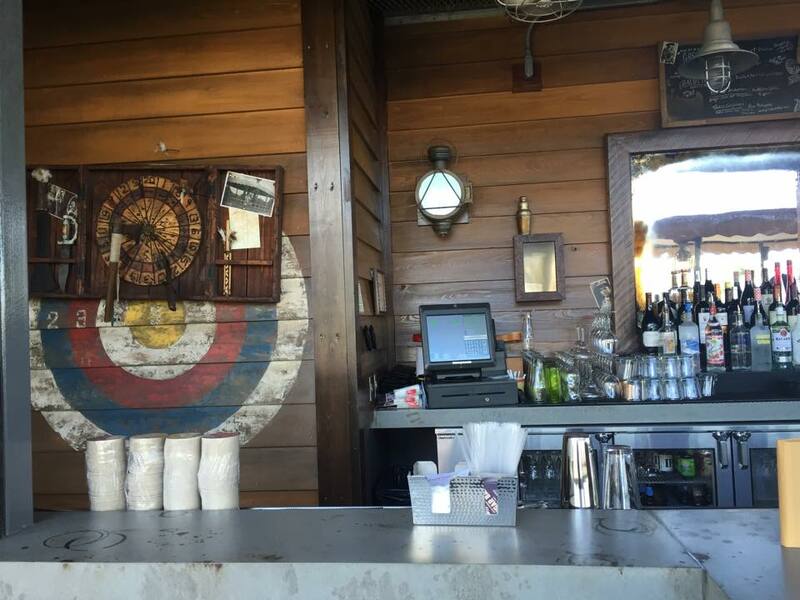 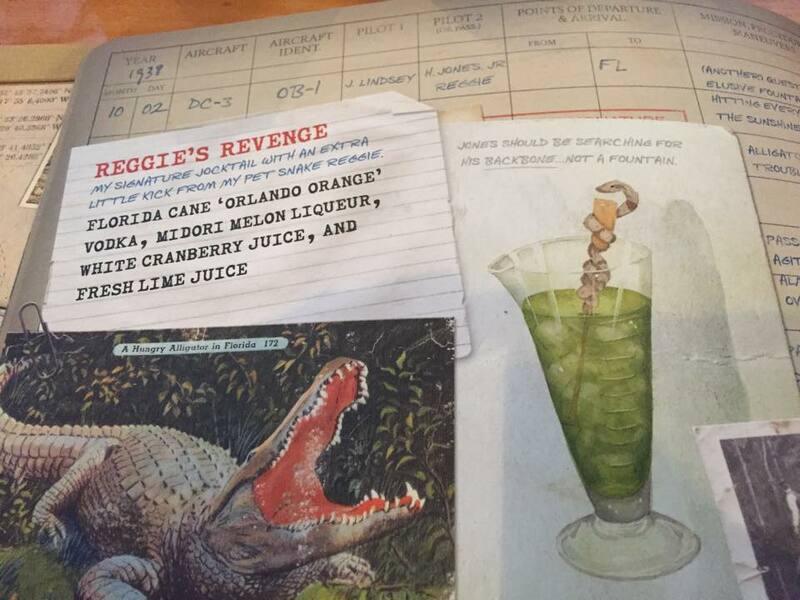 This fun and adventurous bar takes its roots from the tales of Indiana Jones. 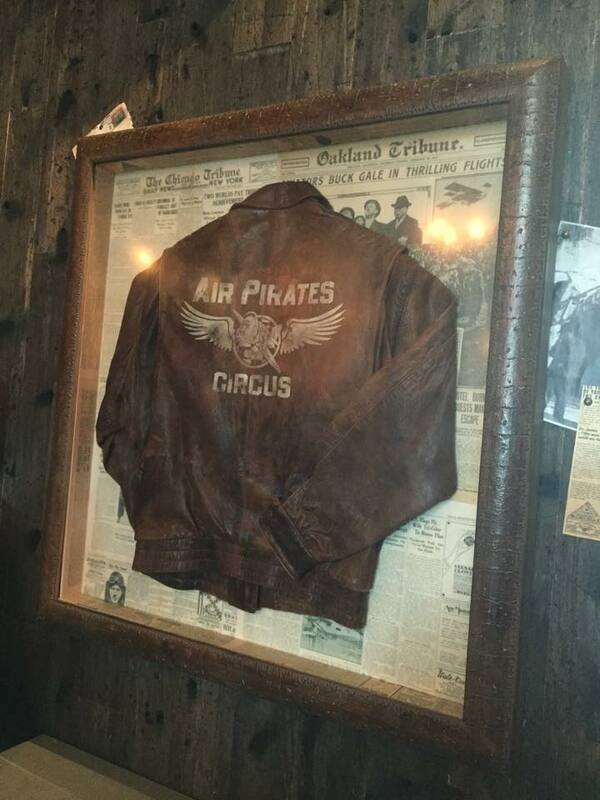 Jock was the freelance pilot that Indy used to hire for his missions to fly him and other archeologists to all points across the globe in the 1930’s. As the story goes, in 1938 Jock flew Indiana Jones to Florida in search of the great fountain of youth. 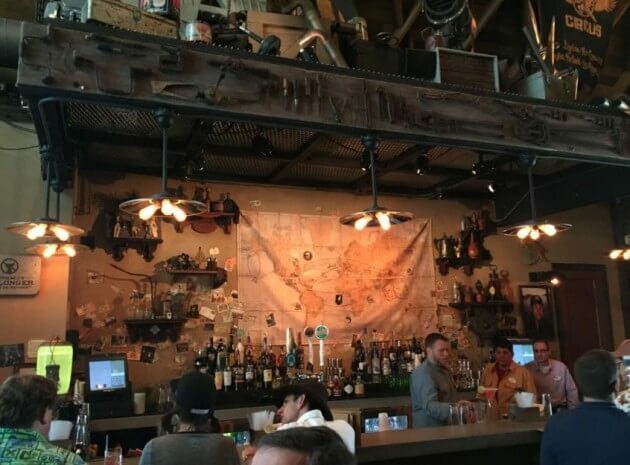 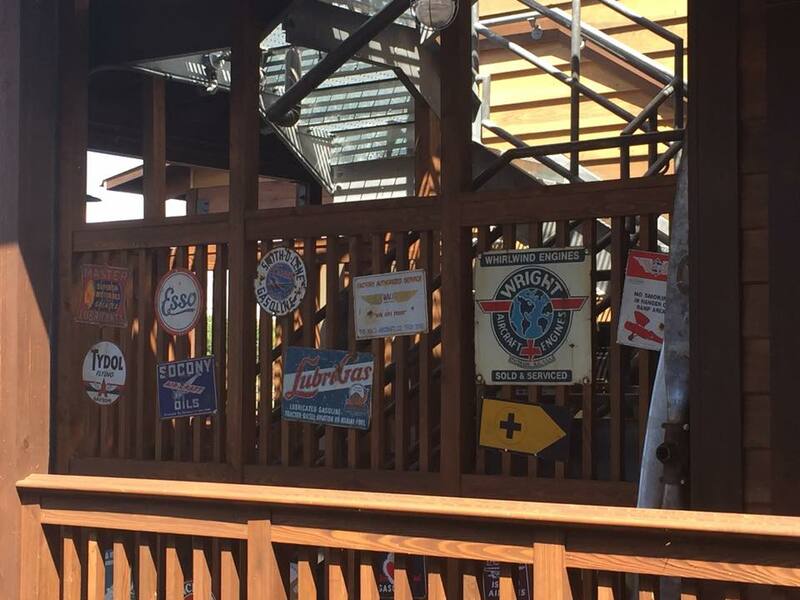 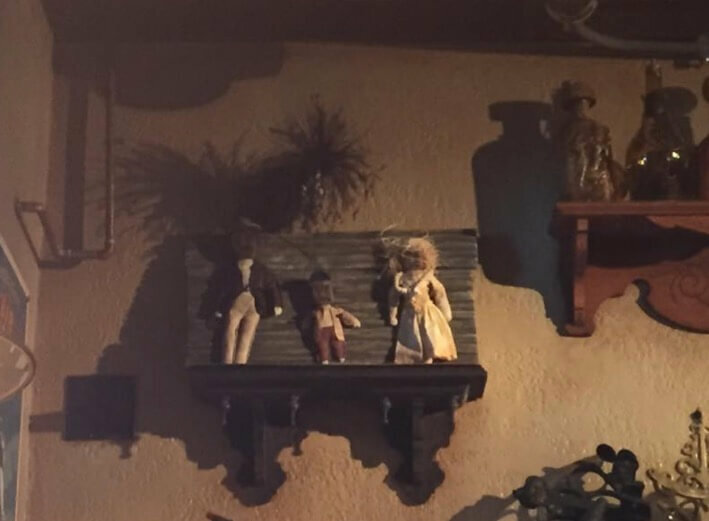 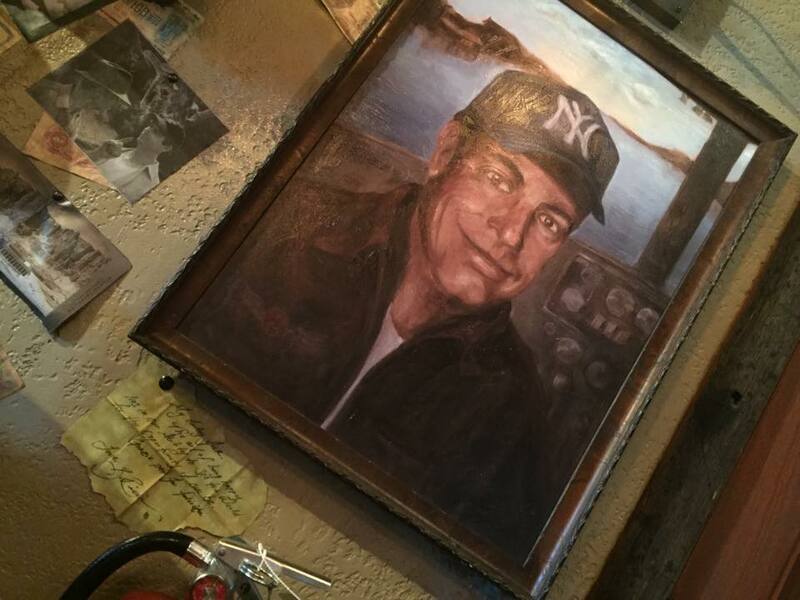 On that trip, he fell so in love with a small town that he came back in the 1940’s to settle down, ultimately establishing his home and a hangar bar on the waterfront for all to enjoy. 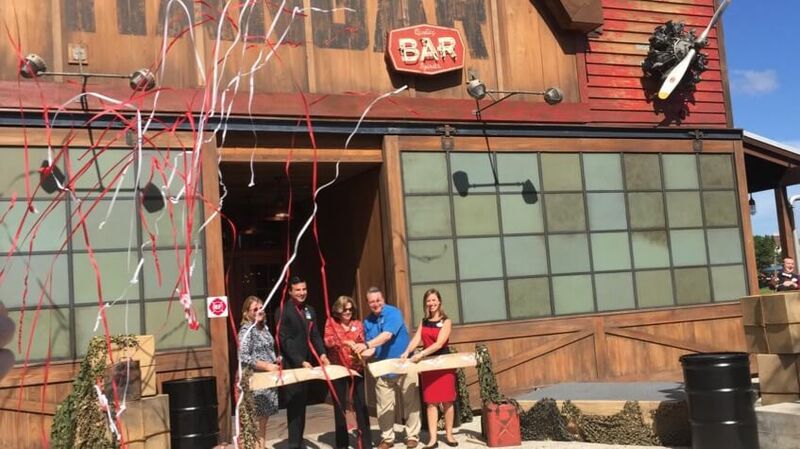 That brings us to yesterday’s grand opening, as Jock’s is once again open for business along the shores of Village Lake. The bar features two distinct seating areas within its borders. 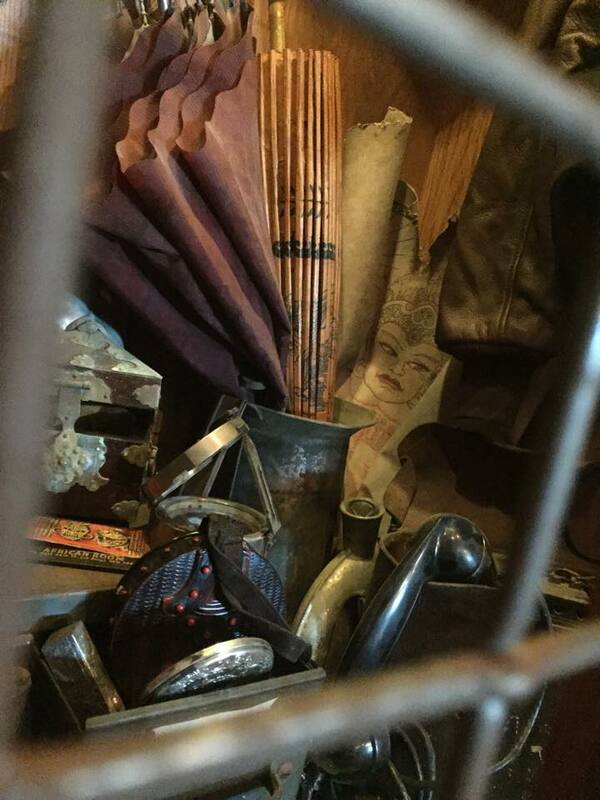 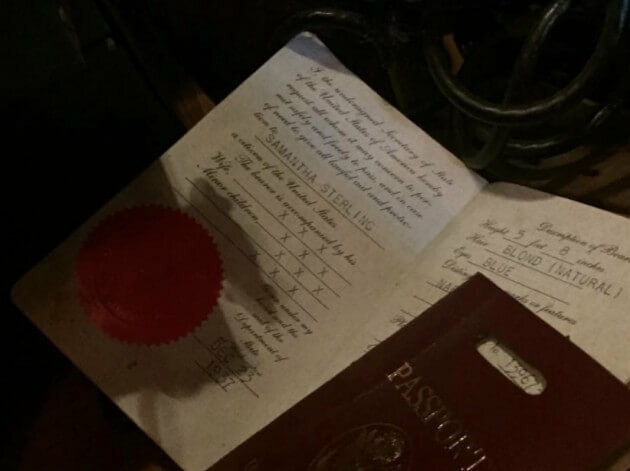 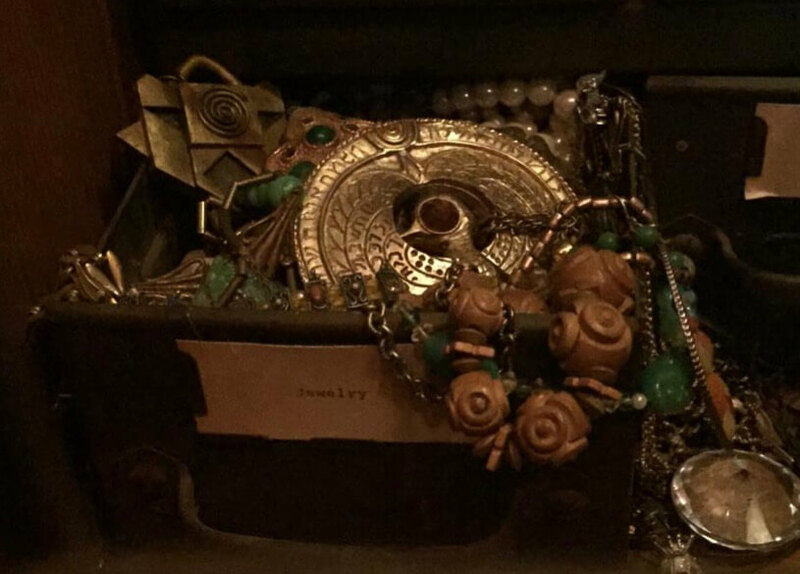 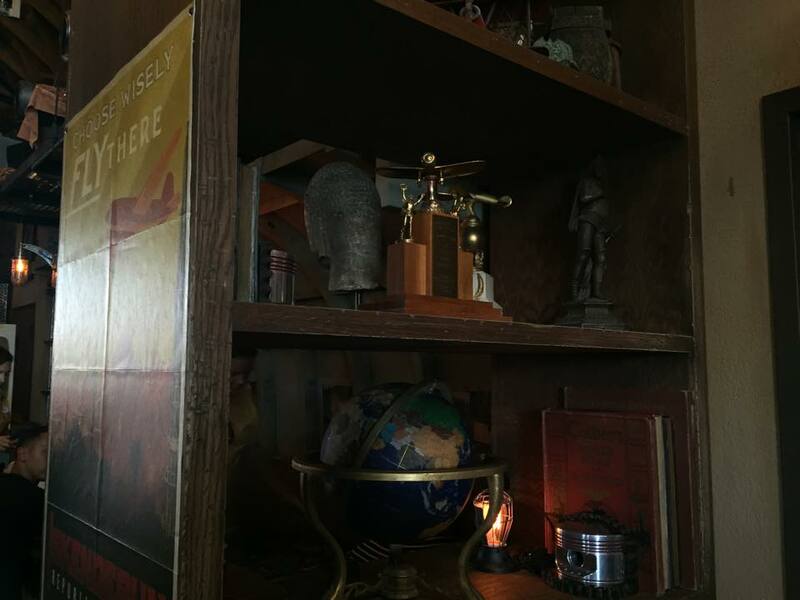 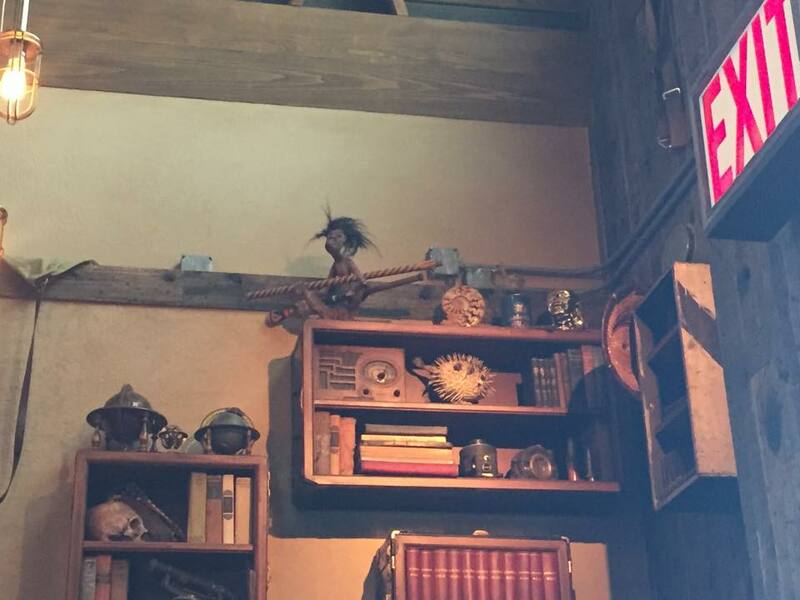 The first of which is the highly immersive and themed interior that focuses on props and miscellaneous elements that Jock collected along his travels. 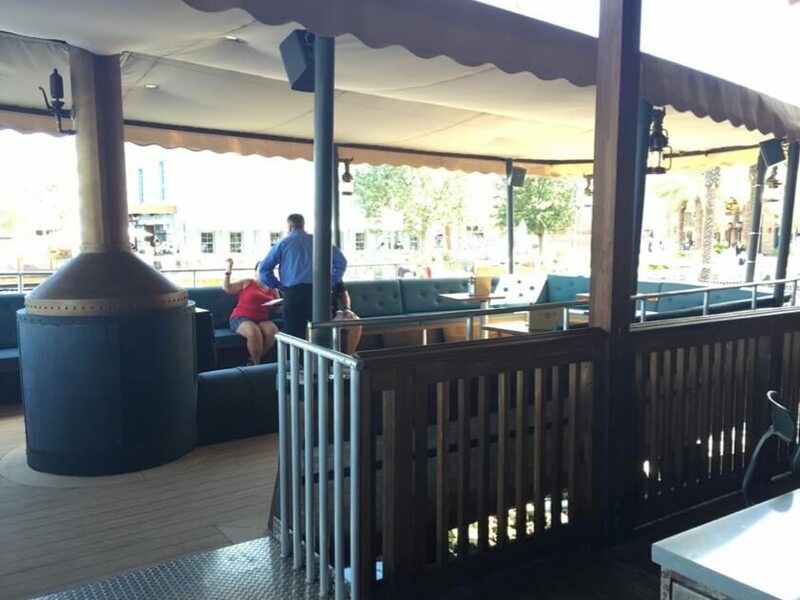 The second seating area is along the back and side of the hangar with expansive deck space that stretches over the water with it’s own designated outdoor bar. 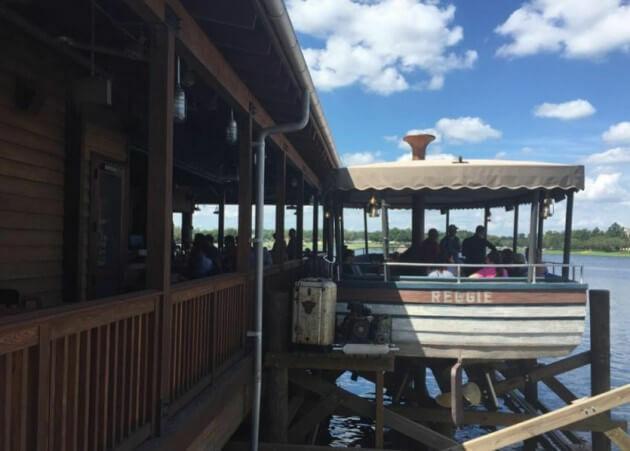 Guests can also take up residence in Jock’s old steamboat that shares the same name as his pet snake, Reggie. Is this the classic droid you’re looking for? Skipper Riley’s ‘skull and crossed wrenches’ from the Disney/Pixar movie Planes & the Cars Toons. 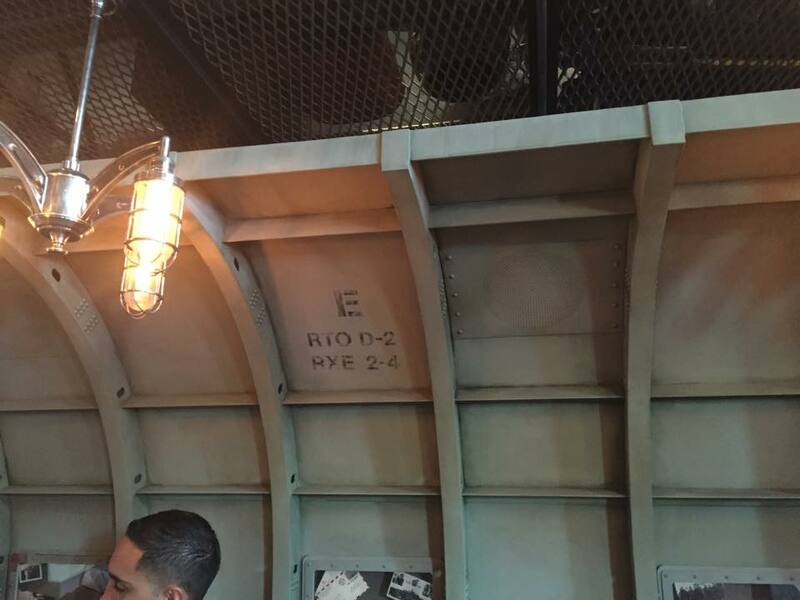 A not so subtle reference to the Marvel character Iron Man. 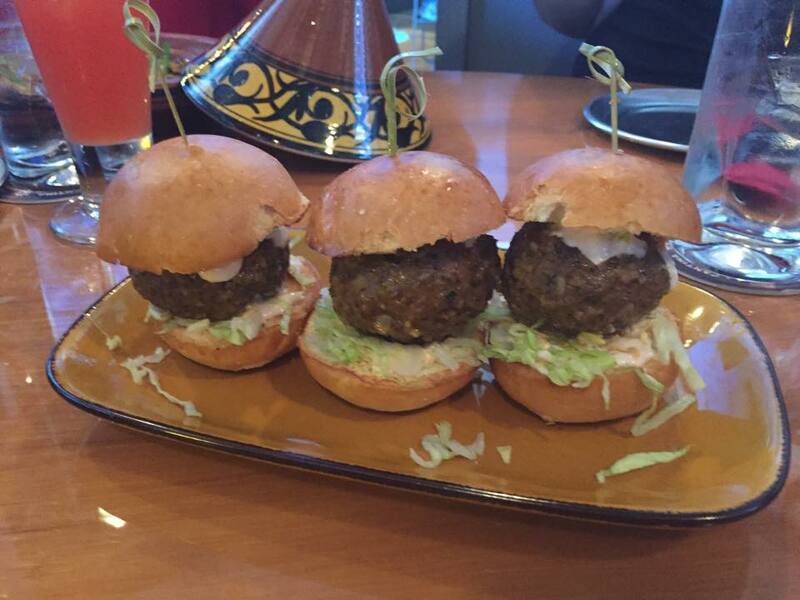 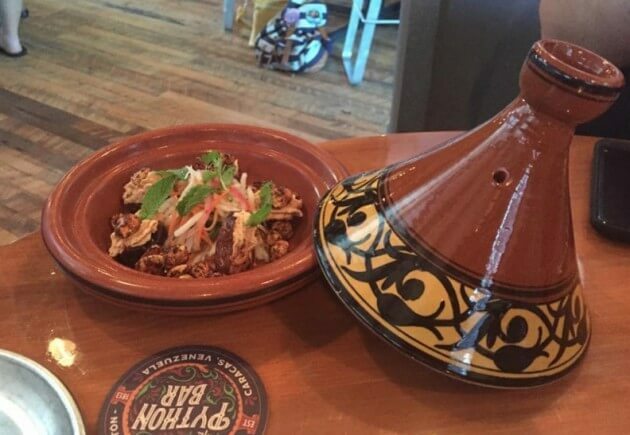 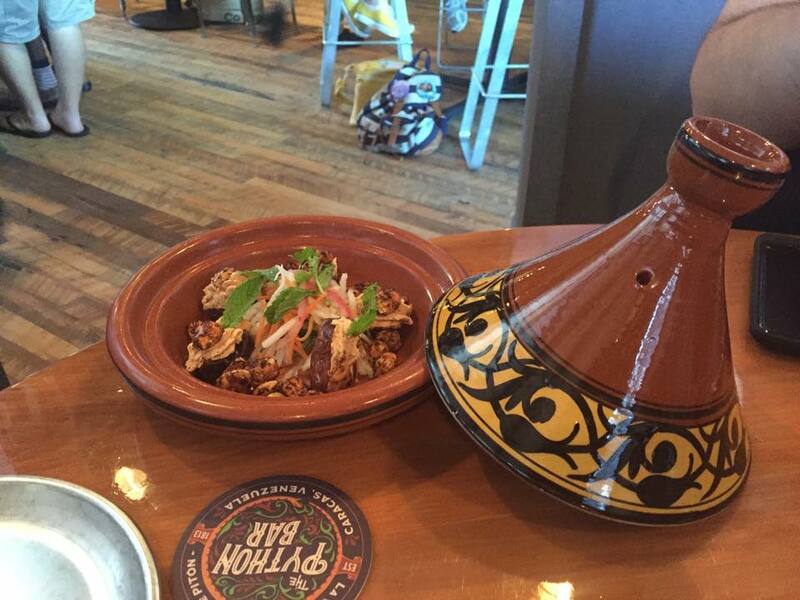 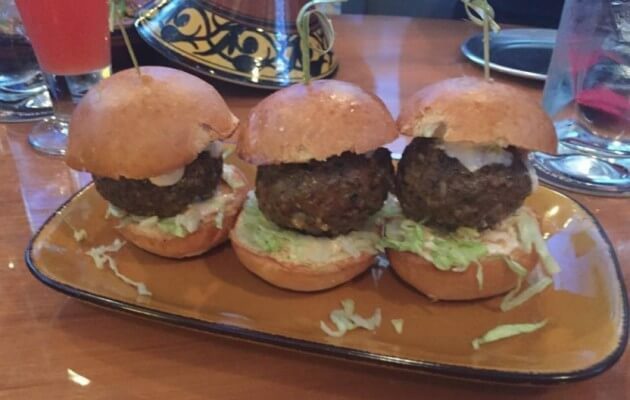 When it comes to the food and beverage offerings, the menu is not only diverse but expansive. 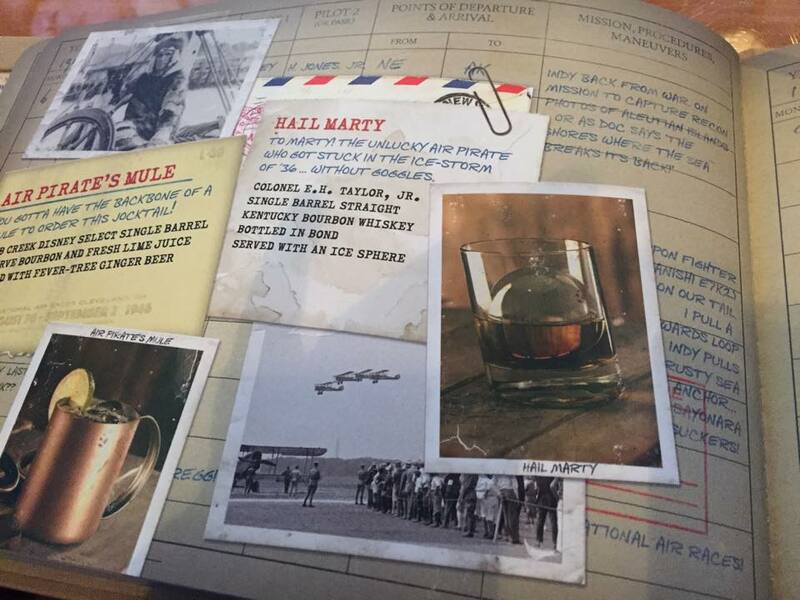 Drinks are labeled into regions of the world where Jock travelled, and moderately priced running an average of $10 per drink. 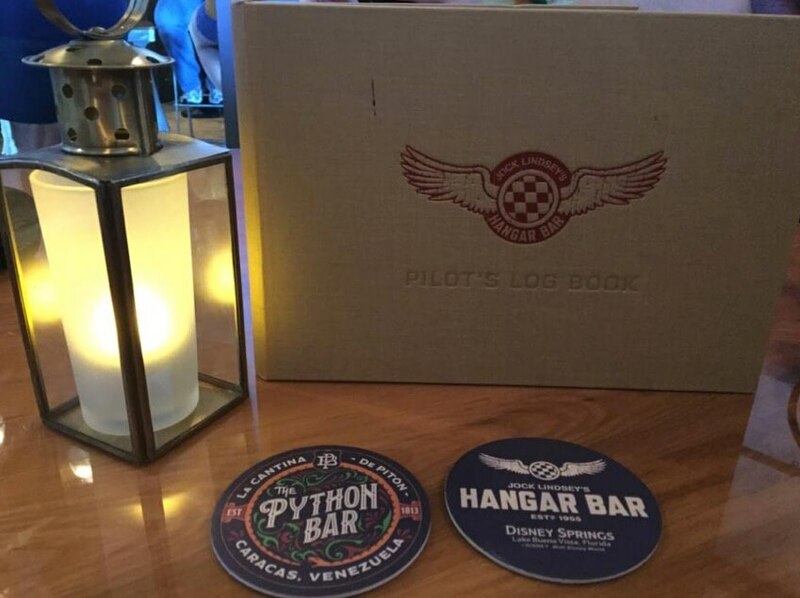 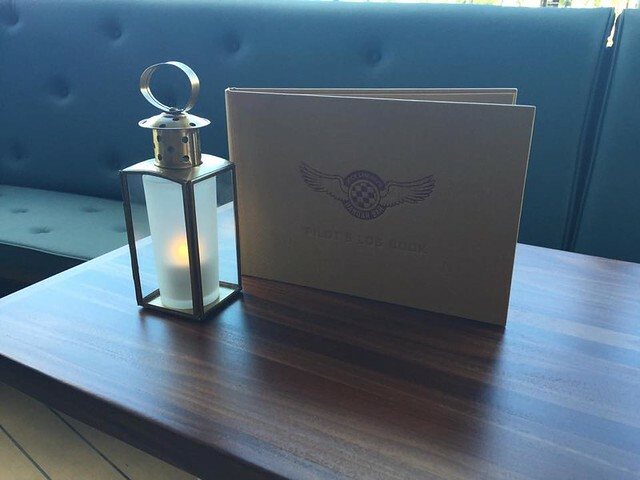 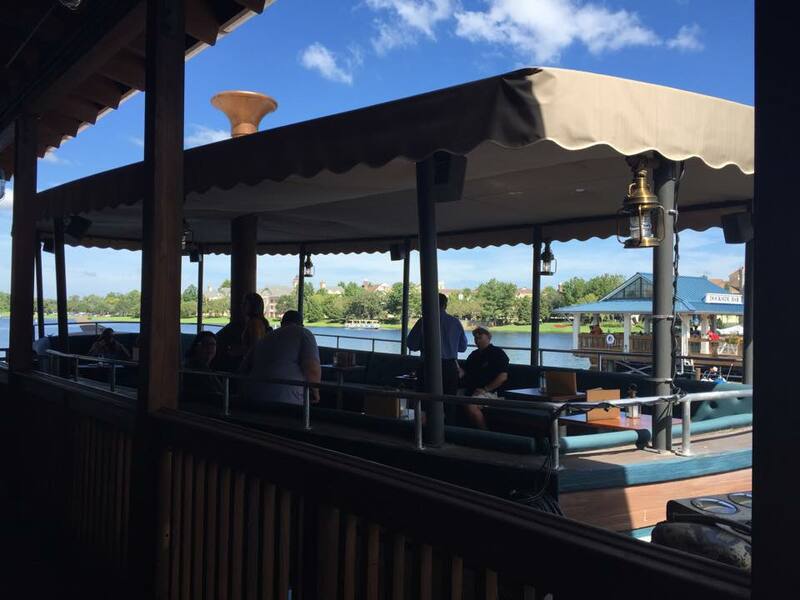 As the transformation of Downtown Disney to Disney Springs continues to elevate the expectations of locals and first times alike, this new lounge is a welcome edition and will fit right at home not just with its theming, but with its classy take on an old school dive bar. 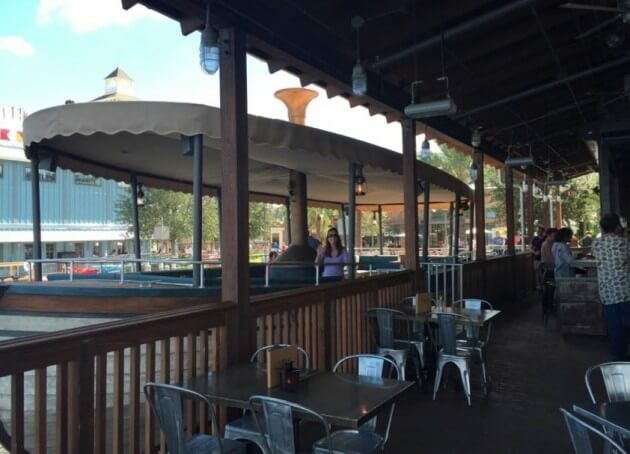 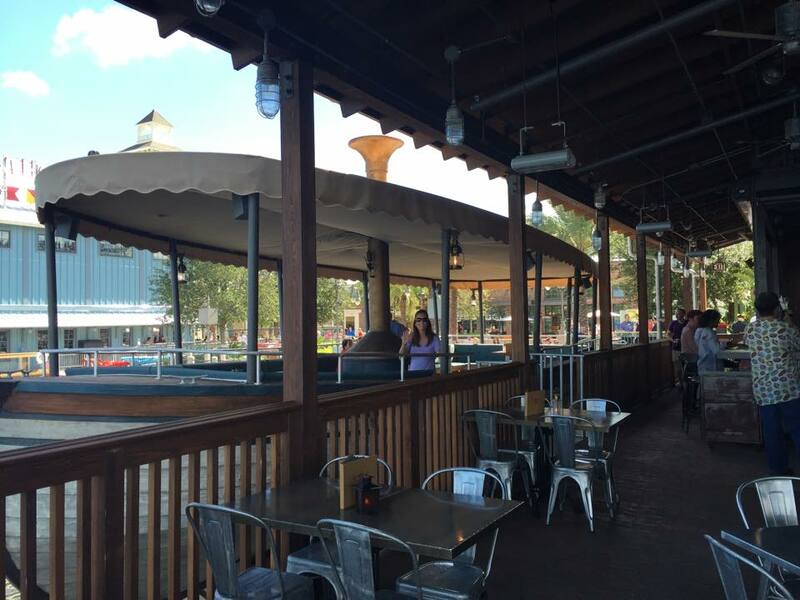 Located between The Boathouse and Morimoto Asia (opening next week), its easily accessible by the complimentary Sassagoula River Taxi with a dock just along side the building for those who want to take in the sights. 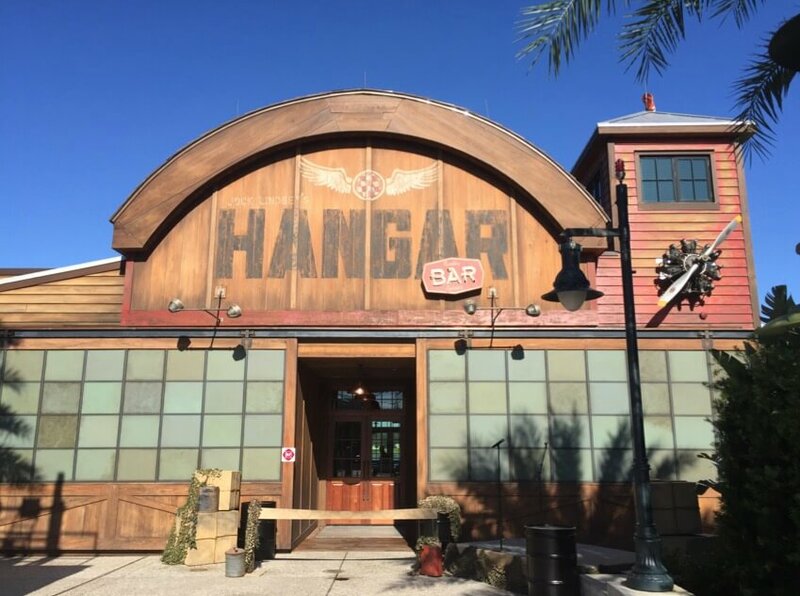 Downtown Disney will officially be renamed Disney Springs on September 29th, which will also mark the official grand openings of Jock Lindsey’s Hangar Bar and Morimoto Asia, which debuts to the public the next day. 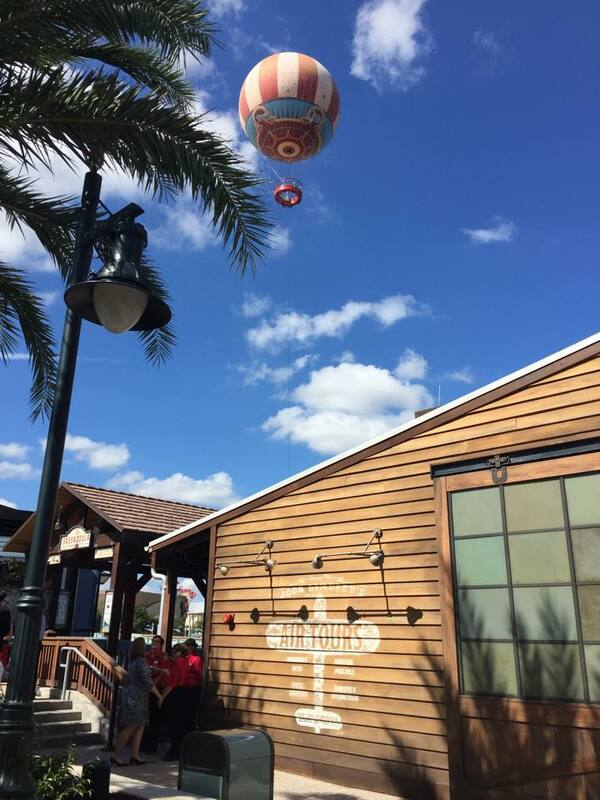 Look for more updates from Inside The Magic as we continue the coverage of all the new happenings at Disney Springs. 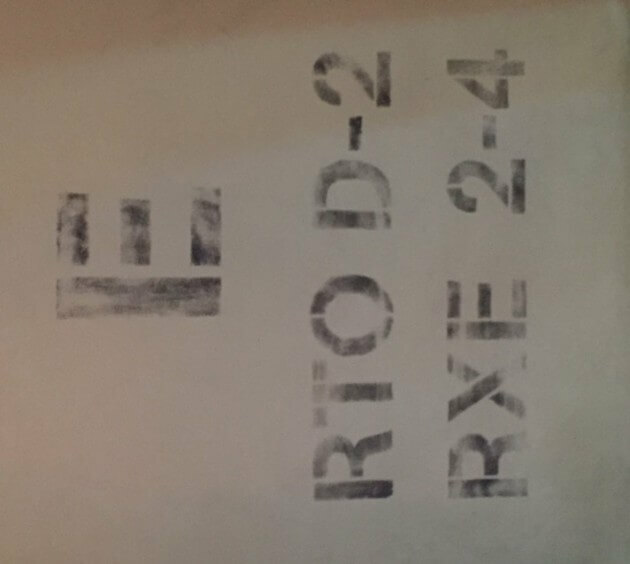 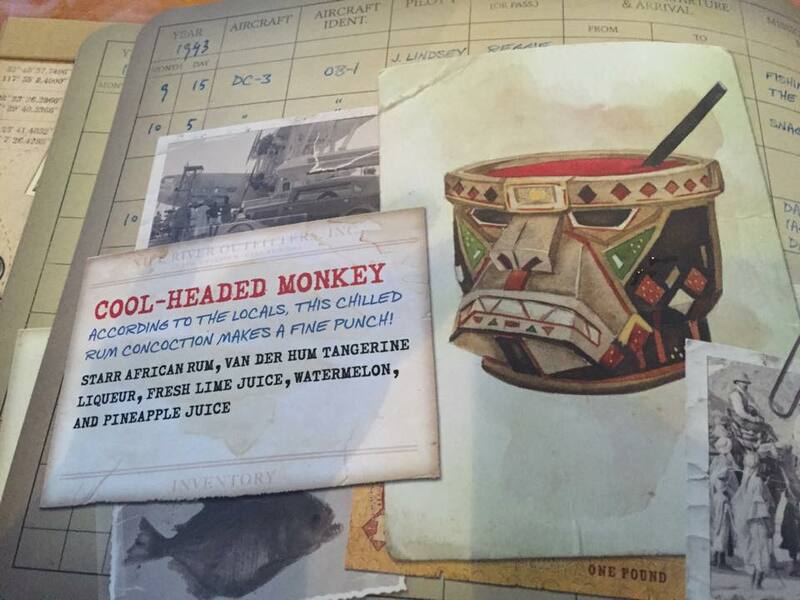 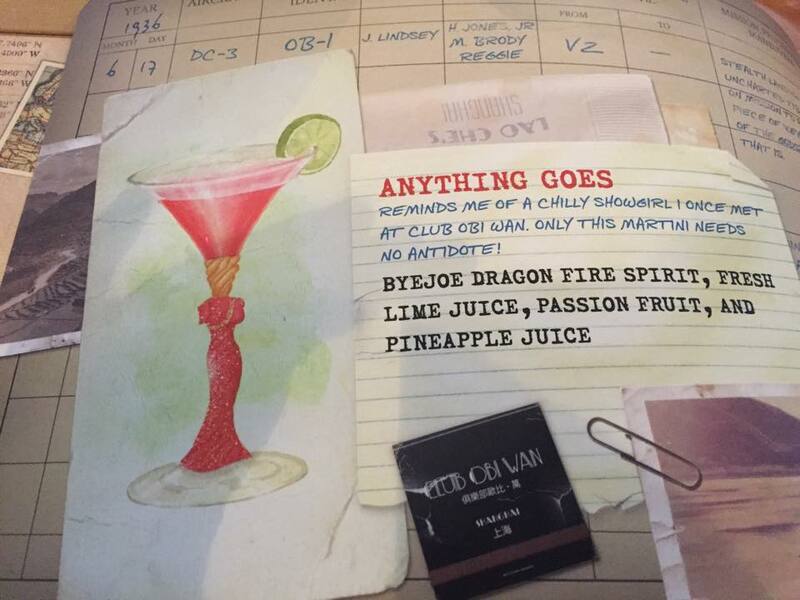 Are some of those drinks coming with collectable mugs eventually? 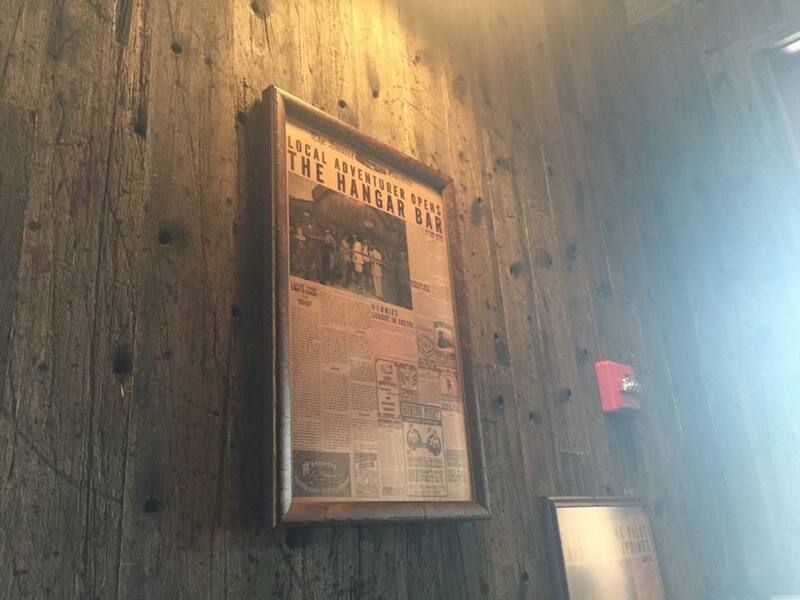 The pictures seem to imply it. 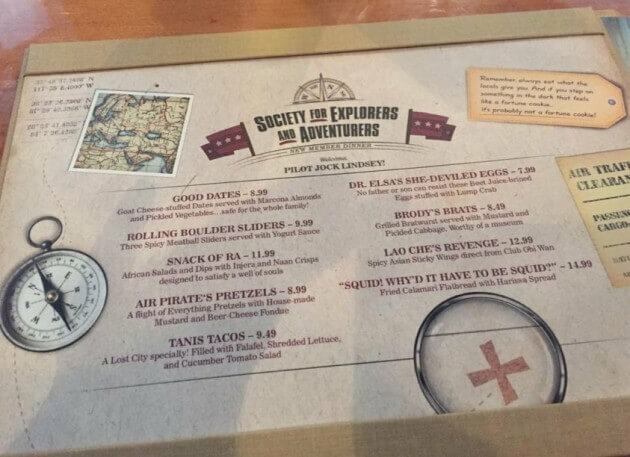 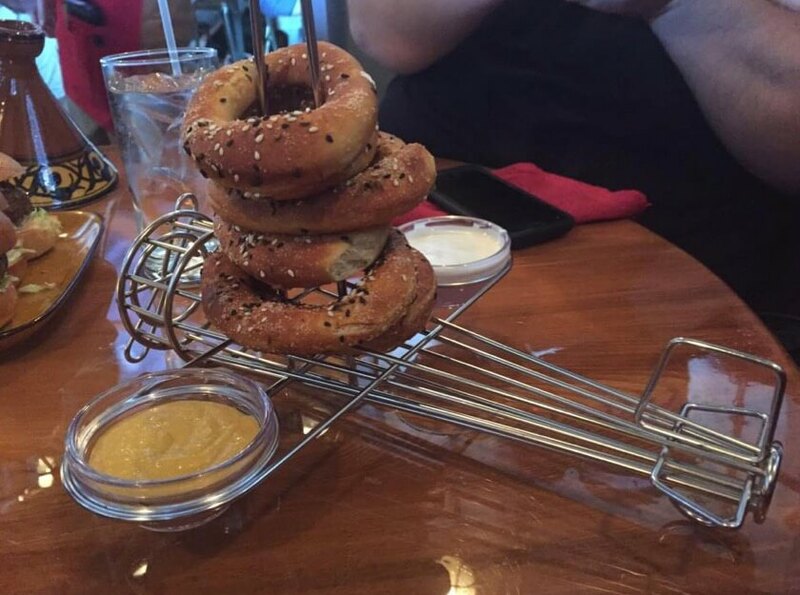 They are trying to make up for closing our Beloved Adventurer’s Club!! !